Left to right: Imam Sis, Hüseyin Teki, and Furkan Doğan. 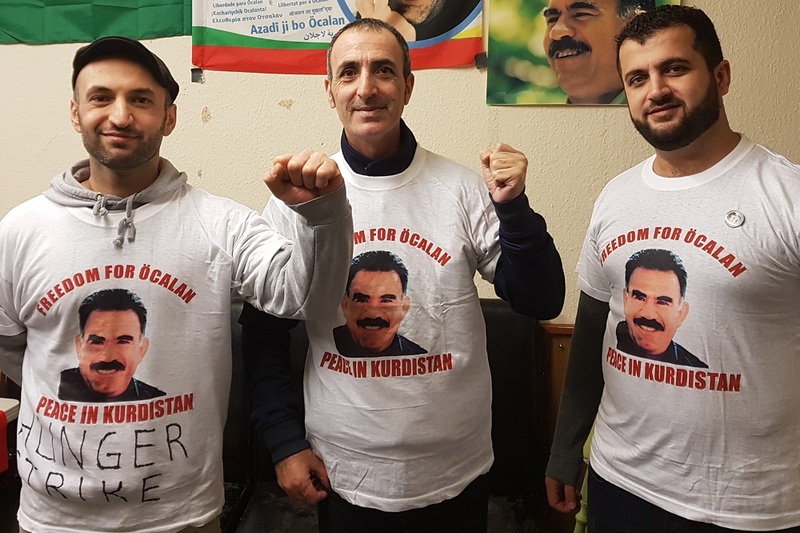 Members of the Kurdish community in Wales are on hunger strike after a lawmaker of the Peoples’ Democratic Party (HDP) was arrested by the Turkish state. Leyla Güven went on hunger strike after her imprisonment and has been joined in her protest by many Kurds across Europe, including in Wales. Welsh Kurds Furkan Doğan and Hüseyin Teki have been fasting for short periods (two days) but Imam Sis has been fasting for five days and intends to continue. “It’s important that the people of Wales show their support for the Kurds, and we encourage people to spread the word about how Turkey is mistreating their people,” Imam Sis said. The hunger strikers are sleeping at the Kurdish Community Centre, Maindee, Newport. Plaid Cymru MPs and AMs have signed a letter to support Leyla Güven who is now on the 49th day of her hunger strike. Yesterday the 9th High Criminal Court in Diyarbakır rejected an application for her release. She is on hunger strike in protest against the continued imprisonment on PKK (Kurdistan Workers’ Party) leader Abdullah Öcalan.